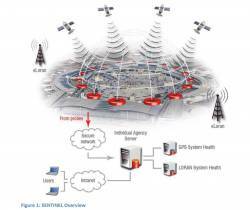 The INS-T-306 GNSS-Aided Inertial Navigation System. Photo source: Tersus GNSS Inc.
Tersus GNSS Inc., a GNSS RTK manufacturing company based in Shanghai, China, has launched the INS-T-306 GNSS-Aided Inertial Navigation System. The advanced module combines GPS L1/L2, GLONASS, BeiDou and a high-performance strapdown system. It is designed to determine position, velocity and absolute orientation (heading, pitch and roll) for any device on which it is mounted. The INS unit aims to facilitate the motionless and dynamic applications which need high accuracy, including vessels, ships, helicopters, UAVs, UGVs, and land vehicles, according to the company. INS-T-306 utilizes advanced GNSS receiver, barometer, 3-axes each of calibrated in full operational temperature range Magnetometers, MEMS accelerometers, and gyroscopes to provide accurate position, velocity, heading, pitch and roll of the device under measure. It supports GPS L1/L2, GLONASS, BeiDou, DGPS, and RTK. Additionally, it can integrate into LiDAR (Velodyne, RIEGL, and FARO). 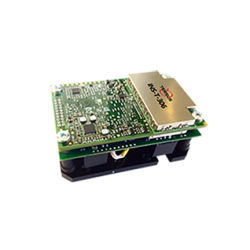 The commercially exportable GNSS-aided inertial navigation system features an on-board sensor fusion filter, state-of-the-art navigation and guidance algorithms and calibration software. Horizontal and Vertical Position, Velocity and Orientation are determined with high accuracy for both motionless and dynamic applications, according to Tersus. The module weighs 145 grams, is 73 x 47 x 33 millimeters in size, and other features include: up to 200 hertz IMU, 50 hertz GNSS positions, and 20 hertz GNSS measurements data rate.